In today’s entry we return to my old works. 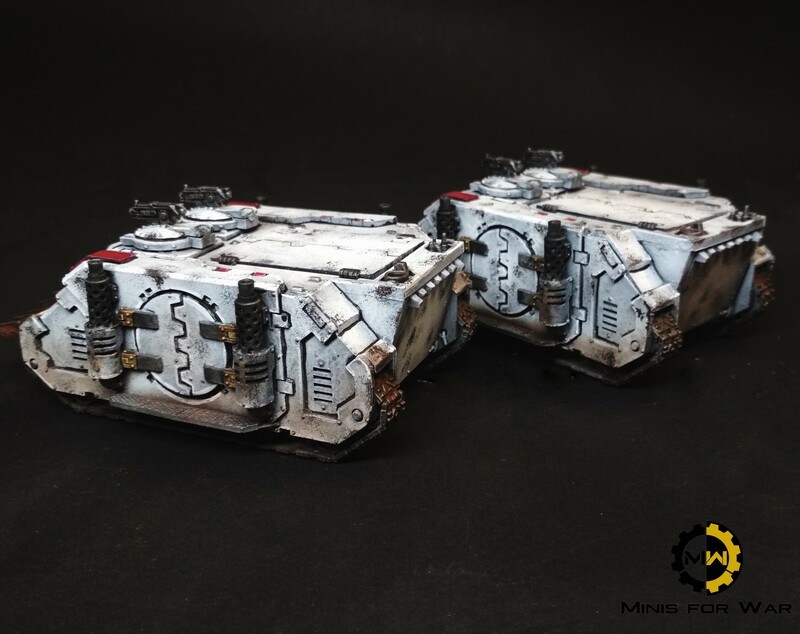 On the photo you can see two Rhino transporters. As you probably noticed, their construction is slightly different from the “40k” versions of this model – the front and sides are different. The upper manholes, equipped with two bolters, are also slightly different. The presented vehicles are marked as MKIC Deimos Pattern and are one of the oldest development versions of this carrier. The models are painted in the colours of the Withe Scars Legion. 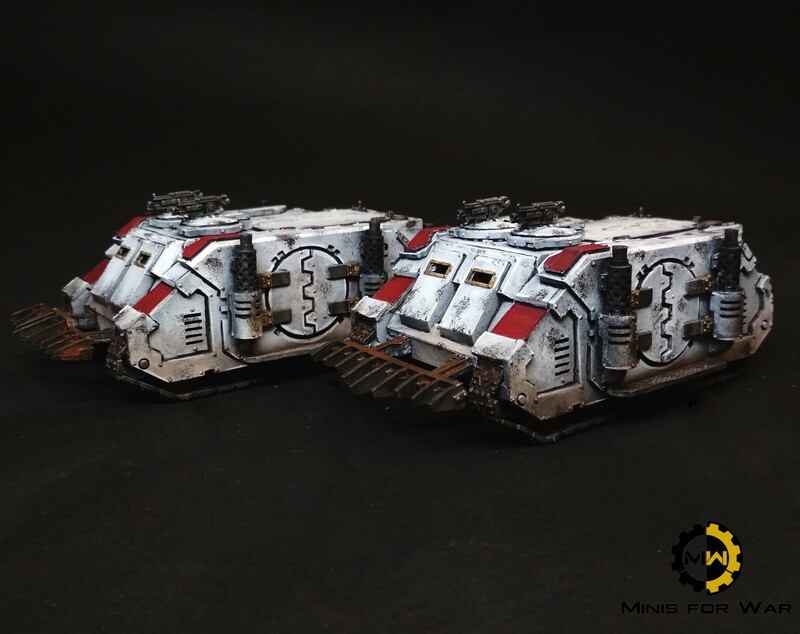 In the next post you will find quite a large heresy army…. But that’s about it soon!